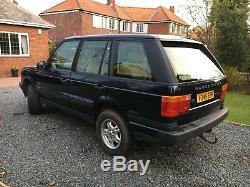 Land Rover Range Rover P38 2.5 DSE. 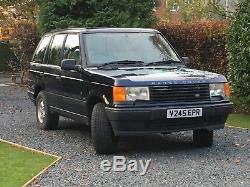 Reluctantly for sale is my diesel automatic, P38 Range Rover which I have owned since April 2012. 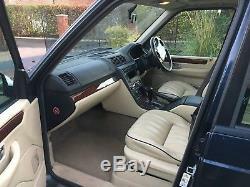 Resplendent in micatallic Oxford Blue paint and lightstone leather interior, the vehicle has been well looked after throughout its life, having originally belonged to Sportarm of Dorchester who acquired the vehicle new from Westover 4x4 Ltd. There are lots of main dealer service stamps (12) in the Service Record book and this then continues with independent Land Rover specialists (2) before being regularly serviced by myself. I have stacks of original paperwork for this car, including the handbooks and MOT certificates. 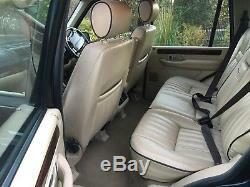 Please see the item specifics section above for a list of the features this vehicle has. 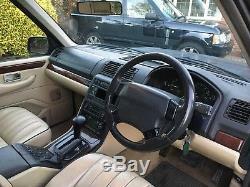 The Range Rover drives well and the gearbox is smooth and precise without issues in high or low ratio. Fully working and original air suspension system. Whenever a repair has been undertaken by myself, I have followed the official guidance of the Land Rover workshop manual (RAVE) and there are lots of printouts for the various jobs completed. Here's just some of the work carried out in approximate chronological order. New alternator and heavy-duty battery (2018). Front and rear brake pads and discs. Fresh brake fluid and coolant. New gearbox oil cooler and pipe. Replaced gearbox oil and filter. New water pump (with improved metal impeller). Replaced climate control blend motors and heater matrix seal (dashboard out). A common issue with these cars is "battery drain" caused by an ineffective key fob receiver unit keeping the on-board computer awake. 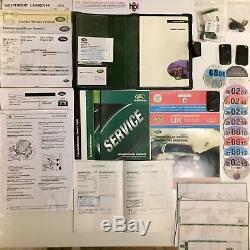 Included in the sale are Land Rover printouts showing the Emergency Key Access (EKA) code, Lock Set Bar Code and various other useful security information. Also included is a diagnostic lead for accessing the air suspension system (which I have used for safely depressurising the reservoir in order to replace the suspension airbags). 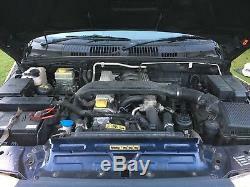 A spare fan belt, fuel filter and EGR blanking kit (never fitted) will come with the car. In the boot, a spare wheel and original jack, brace, wheel chocks and locking wheel nut remover are present. I also have two spare front grilles, one of which is colour-coded blue. The Range Rover is not without its faults and sadly, there are a few: Externally, there is some bubbling of paintwork to the aluminium door bottoms along with a rippled front bumper and a small chip in one of the front headlights. To the rear, the tailgate has two dents which were present when I bought the car. 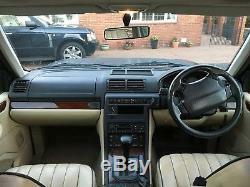 Internally, the car suffers from sagging headlining (extremely common) which I have not had replaced. 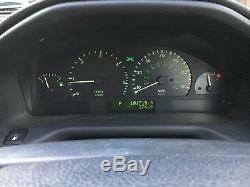 Whilst there are, remarkably, no warning lamps illuminated or fault messages on the dashboard very rare and all bulbs present! , there are a couple of electrical nuisances which again, I haven't got around to sorting: Activating cruise control sounds the horn (I suspect a dirty contact - cruise control does work however), the fuel gauge is sometimes inaccurate around the empty mark (this started after the in-tank fuel pump was replaced) and the radio no longer powers on (possibly a blown fuse). The air conditioning system hasn't worked since I bought the car (might need re-gassing). I must also note that this car suffers from the hot-starting issue which is well detailed on the Land Rover forums and again, is a very common fault. This, I believe, is caused by the slackening of the timing chain due to age and which causes problems with BMW's lean fuelling system. Replacing the chain and tensioners may solve this issue - the car does always start, however. I have checked the engine oil filler cap and cannot see any signs that the coolant is contaminating the oil. I have also checked the driver's footwell and the carpet appears to be wet which suggests the heater matrix seal has gone again; hence the gradual loss of coolant. I have in the past replaced the heater matrix seals and so a reasonably competent home mechanic should be able to undertake this task themselves. There is excellent guidance in the workshop manual. Please note, this is a private sale. Thank you for taking the time to consider my vehicle and I shall look forward to hearing from you. 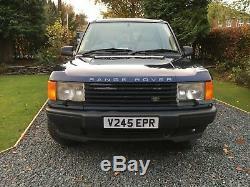 The item "Range Rover P38 DSE 2.5 Turbo Diesel Automatic 1999 Land Rover Winter Snow 4x4" is in sale since Wednesday, November 14, 2018. 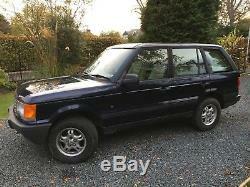 This item is in the category "Cars, Motorcycles & Vehicles\Cars\Land Rover/Range Rover". 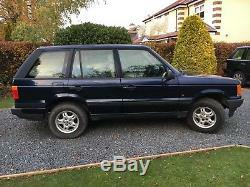 The seller is "airnexus" and is located in Whickham, Newcastle Upon Tyne. This item can't be shipped, the buyer must pick up the item.